Everyone knows that dogs age faster than people. The claim that a dog ages seven years for every one year that a human ages is a fallacy. Breeds vary in the speed that they age. Because there are hundreds of dog breeds, scientists needed an easy method for calculating the age of a dog. That’s when the “rule” of 1=7 came into being. It’s a method people have used for decades. However, it doesn’t explain how canines actually age. The age of breeds vary according to whether they’re a toy, a small, medium or large dog. The physical body of a breed also affects how fast he ages. The needs of a Pomeranian will differ as he grows old. Like people, dogs within a specific breed are also unique so their age, physical body and other attributes will vary as well. Pomeranians and other small dogs usually live longer than bigger dog breeds. Aging signs in Poms may appear when he’s as young as 7 years, as old as 8 years or anywhere in between. In the 1930s, a dog’s lifespan peaked at 7 years. Today’s dogs can live into their late teens and beyond, if they’re properly cared for and remain in good health. Most vets measure and assess the human age-equivalent of a dog based on how much he weighs. 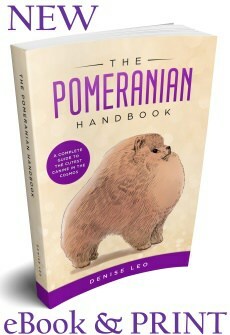 Here is a chart for Pomeranians. Pomeranian Years to Human Years. 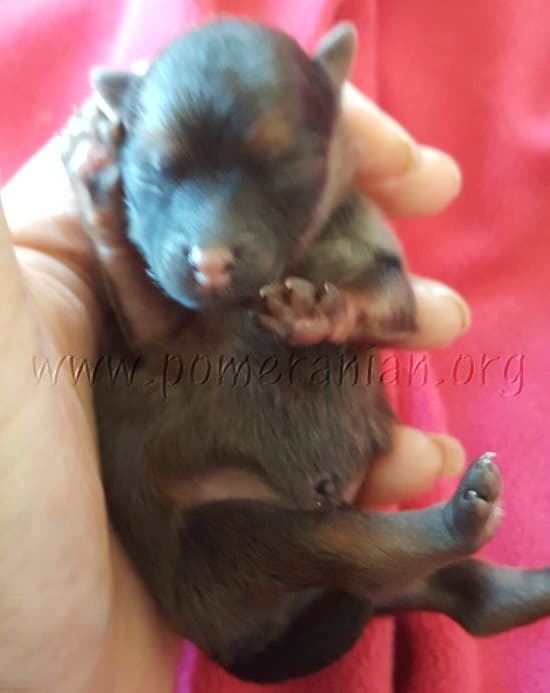 1 – 6 weeks: Newborn. Eyes will open at 2 weeks. Puppies begin to walk by Week 3. Weaning is over by the end of the 6th week. 8 – 12 weeks: ‘New’ puppy. The world is theirs to enjoy. It’s all exciting but they tire easily and need plenty of naps. 8 weeks to 1 year: Puppy will grow a lot during this period. 4 – 6 months old: He’ll undergo teething. 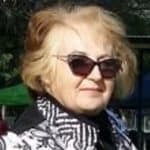 6 – 9 months: Puberty period. Females may come into season. Males possess viable sperm. 3 – 6 months: The ‘puppy uglies’ starts. His puppy coat is slowly being replaced by a new adult coat that may be darker or lighter. His colour may alter during this period. Secondary colours may become stronger or fade. 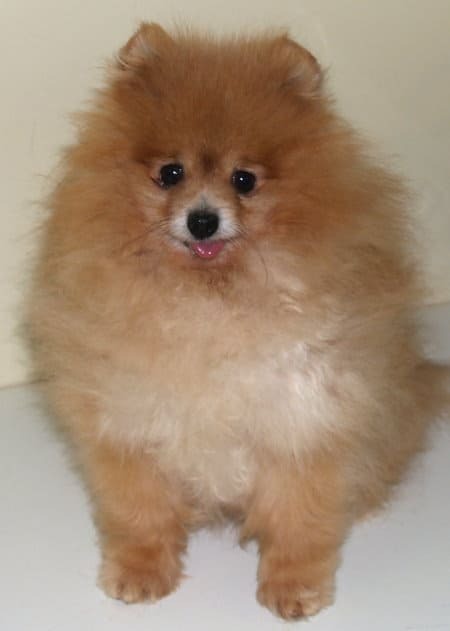 10 months: Your Pomeranian should be at an adult weight and have a full adult coat. 1 year old: Officially an adult with lots of energy. He’ll be equal to a human teenager of 15 years. He should be housebroken and understand most of the rules. He’ll be awake for more hours and will feel a powerful need to be with his owners. He may feel intense separation anxiety. 8 years old: He’s regarded as a senior. There’s no official age at which he’s classified as a senior Pomeranian. Your vet decides but many wait until he’s 9 or 10 years old. However, it’s essential to declare seniority because that means he needs a bi-yearly health check instead of only being done annually. Puppies may find it hard to only focus on a single thing at a time. When he’s 3 – 4 months old, there should be the beginning of a close bond between the Pomeranian and his owner. Some owners will see that his coat’s colour changes. Examples: a black dog may become a black and tan parti or a wolf sable may turn a solid grey colour. During the “puppy uglies” phase (aka heavy shedding period) the dog’s baby coat gets shed and the adult coat begins to come in. If a senior develops some grey, there won’t be a full colour change. During your Pomeranian’s first year, he will grow fast. 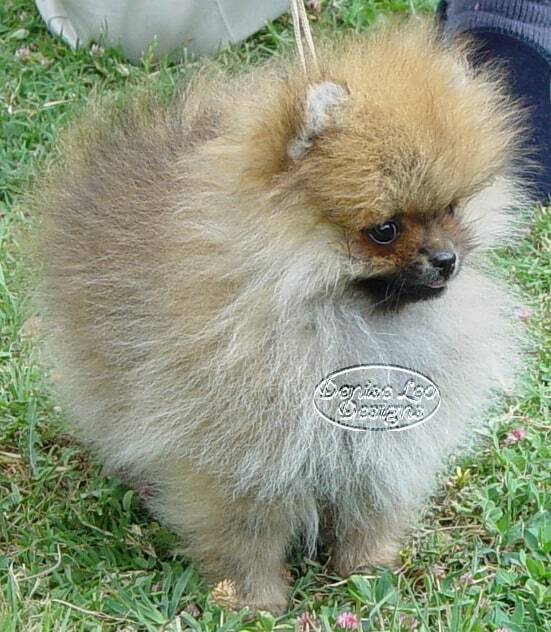 Some Pomeranians will have a growth spurt while others will start and stop a few times. Once he’s one year old, he’ll be roughly the weight and height that you would expect from an adult Pom. Smaller puppies may take longer to mature and, in some cases, may not be fully developed into an adult until around the 18 month mark. Bigger pups, on the other hand, might just be fast developers and be fully grown at 5 months.